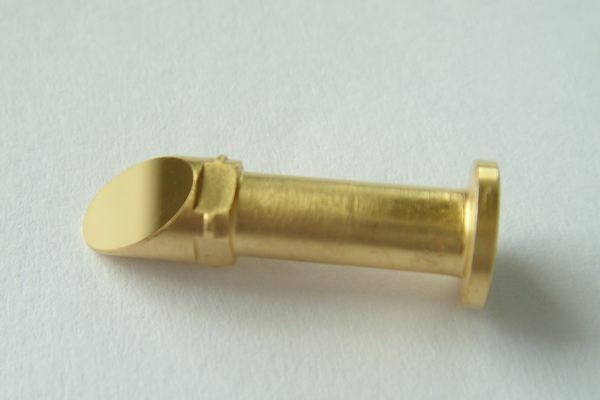 We can offer customers extremely accurate metal parts for non optical uses. Our precision lapped or polished surfaces are used for many applications including moulds, flashlamp reflectors, lamp housings, heatsinks, precision mating surfaces for seals and calibration equipment. Our double sided lapping and double sided polishing equipment can generate parts with variations in edge thickness of just 1 micron. Similar specifications are available on polished ceramics, alloys and CVD materials. 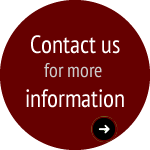 Over 25 years we have lapped and polished many different materials such as: Stainless Steel, Tungsten Carbide, Graphite, Bronze, Brass, Titanium, Ceramics, Mild Steel, Nickel, Arcap Alloy and Electroless Nickel. Typical flatness achieved is 0.5 micron or better on lapped parts up to 270mm diameter. 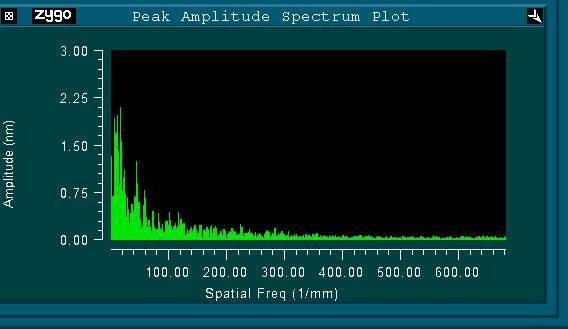 Interferometric test results can be provided with 0.05 microns accuracy. 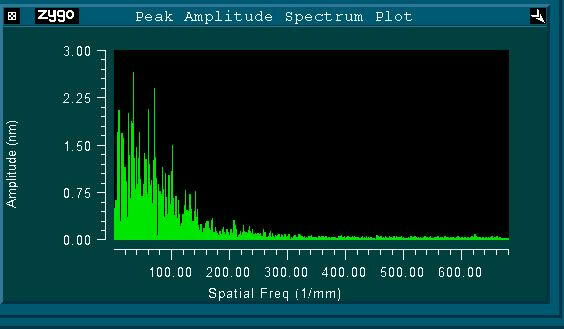 Surface roughness traces can be provided showing Ra, Rq, Rz and many other parameters. 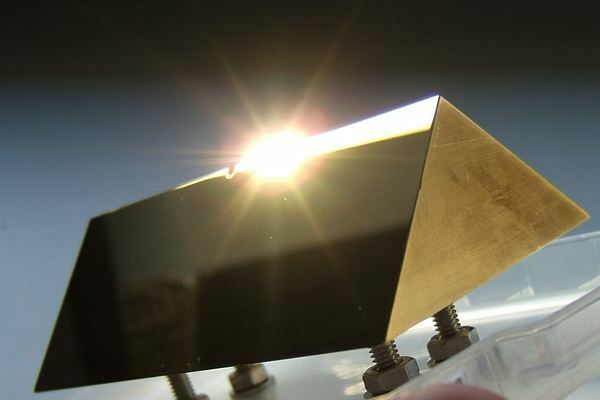 Polished metal mirror surfaces have the surface smoothness and low scatter normally specified for UV optics. Many optical designers and specifiers are aware of the importance of surface quality and specify surface roughness as Ra (an average roughness) or Rrms (a root mean square). By both measurements LBP Optics offer the smoothest optical mirror surfaces available. 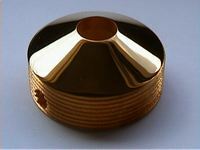 LBP Optics have taken the techniques used in semiconductor polishing and developed them for the chemical polishing of metals. The material removal is entirely chemical, there is no mechanical abrasive action, leaving a flaw free, ultra smooth mirror surface of sub nanometer surface roughness. Because no abrasive is used, there are no embedded particles in the surface to act as absorbing sites. Laser optics require exceptional surface quality for low scatter and high laser damage threshold. Our polished metal surface quality is far superior to anything even the very best diamond machining can offer. Where surface quality is important, many diamond machined optics have to be "post polished" to improve the surface quality. With polished surfaces there are no cutting arcs, target patterns or chatter marks that are so easily visible on the surface of a diamond machined mirror. Improved surface smoothness after polishing. Surface scatter and diffraction reduced by polishing. 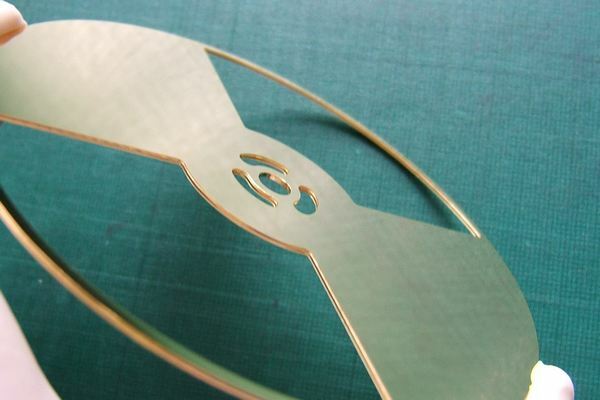 Fly cutting arcs from diamond machining of Copper mirror. These unwanted surface faults can initiate laser damage and cause diffraction of the laser beam. 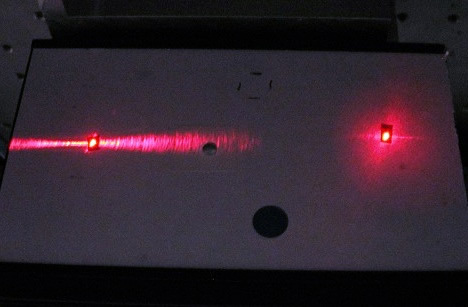 In some cases the diffraction and scatter of diamond machined optics is so great that a red alignment beam can be completely lost after reflecting off a few mirrors. Sometimes on diamond turned concave or convex mirrors a spike of metal can be left in the centre of the spherical mirror due to poor proof of centre during machining. We have our own in house electroless nickel plating equipment, made to our own design. We monitor and control the plating process chemistry to ensure electroless nickel plated parts are bright, stain-free and low in porosity.